The European Union has admitted that it cannot monitor whether producers working from Israel’s settlements in the occupied West Bank are fraudulently taking advantage of trade privileges. Since 2000, the EU has allowed most Israeli goods to enter its markets without incurring taxes or customs duties. Exports from Israel’s settlements in the occupied West Bank and Golan Heights are not eligible for those perks, because the EU does not recognize those territories as part of Israel. Dated from June this year, the document was sent from Lars Faaborg-Andersen, then the EU’s ambassador in Tel Aviv, to a senior official handling trade policy in Brussels. Faaborg-Andersen noted that Israel’s introduction of a “new seven digit ZIP code system” has complicated matters. EU diplomats, he suggested, could not work out which codes applied to Israeli settlements in the West Bank and Golan Heights. Despite how Faaborg-Andersen called Israel’s scheme “new,” it has been in operation since 2013. The system means that Israel could have as many as 10 million unique postal codes, even though its population is less than 8 million, according to the newspaper Haaretz. The admission by Faaborg-Andersen indicates that attempts to distinguish goods from settlements in the West Bank and Golan Heights from other Israeli exports proved ineffective throughout his four-year stint as ambassador. The EU stipulated in 2015 that goods from settlements should be labeled as such. It is hard to imagine how labeling can be accurate if identifying the origin of goods has not been possible. The logical conclusion is that all trade privileges should be revoked. The EU has the power to do so. The agreement covering its relations with Israel allows the EU to apply sanctions over violations of human rights. Israel’s settlement activities involve daily abuses of Palestinians. Moreover, the building of colonies on a militarily occupied land is a war crime under international law. There is a growing legal consensus that international law requires governments to not just label settlement goods but to prohibit their import entirely. Instead of any real action, Faaborg-Andersen advocated that an “expert meeting” should be convened. He also stated that EU diplomats “politely declined” an invitation from Eli Cohen, Israel’s economy minister, to take part in a propaganda tour of settlements. Faaborg-Andersen has not just been polite towards Israel’s hard-right government; he has been consistently deferential. As soon as the EU’s labeling guidelines for goods from Israeli settlements in the West Bank and Golan Heights were published, Faaborg-Andersen sought to downplay their significance. Portraying the guidelines as technical, rather than political, he has emphasized that products from Israeli settlements are “still welcome” on Europe’s supermarket shelves. He has argued that the labeling requirements have “nothing to do” with any other issues concerning Israel or Palestinians. That was a bizarre statement given how Israel’s settlement activities place a chokehold on many aspects of Palestinian life. This is by no means the first evidence that EU attempts to differentiate between goods from within present-day Israel and from its settlements in the West Bank have been circumvented. Tnuva, an Israeli food company, has been filmed bringing milk from farms located in such settlements to processing facilities inside Israel. By using such tricks, exporters can present their goods as “made in Israel,” thereby fraudulently enjoying preferential access to the EU’s markets. Faaborg-Andersen, a Danish diplomat, has been out of step with European public opinion. While ordinary people in many countries have protested at the oppression of the Palestinians by shunning Israeli goods, he has been hostile to the Palestinian-led boycott, divestment and sanctions (BDS) movement. Last year, he attended a conference at which an Israeli government minister threatened Palestinian political activists with “targeted civilian elimination.” That is the same term Israel uses for its extrajudicial executions, yet Faaborg-Andersen refused to condemn the threat. 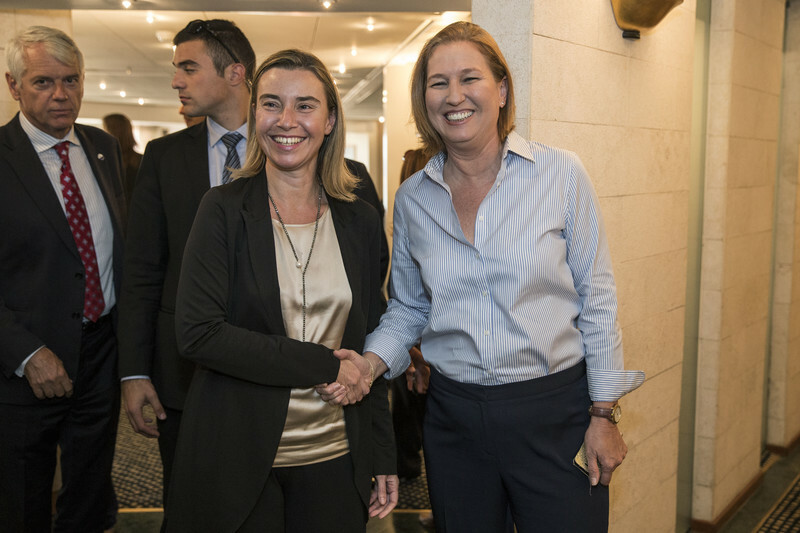 His remarks indicate that the EU is forever snuggling up closer to the Israeli authorities – the same authorities that deny Palestinians their basic rights. Along with the “under-the-table” collaboration to which he alluded, Israel is a key beneficiary of the EU’s scientific research program. Faaborg-Andersen has peddled Zionist myths by claiming that when he first visited Israel in the 1970s (to work on a kibbutz), it was akin to “David struggling for survival against the surrounding Arab Goliaths.” In later years, Israel has moved from “underdog to the top dog” in the neighborhood, he added. In truth, Israel has never been the underdog. For the past seven decades, Israel has behaved as a pit bull terrier towards the Palestinians. The fiercer the pit bull gets, the more the EU humors it.